So many choices!!! 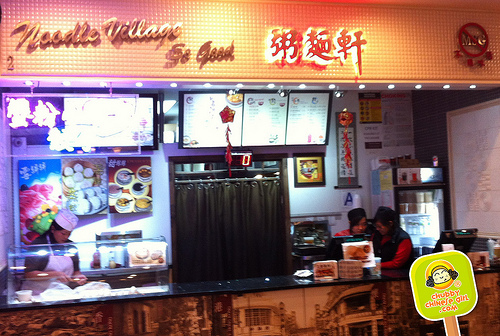 from Taiwanese to hand pulled noodles, sushi to bubble tea, spicy pots to korean and so on and so forth. The Paradox of Choice came to mind the first time I made my round. After a couple visits, I have my Fire and Icy meal all planned out. From drink, appetizer, main to dessert, this can be helpful, specially if it’s your first time. 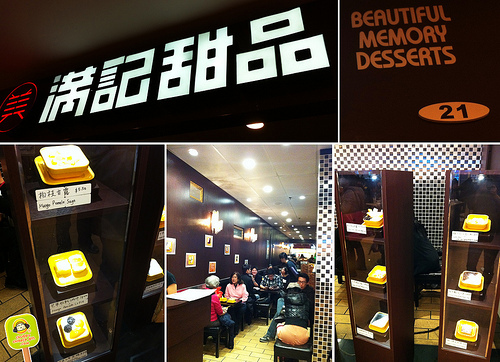 (Plus, why Beautiful Memory Desserts didn’t live up to their name). 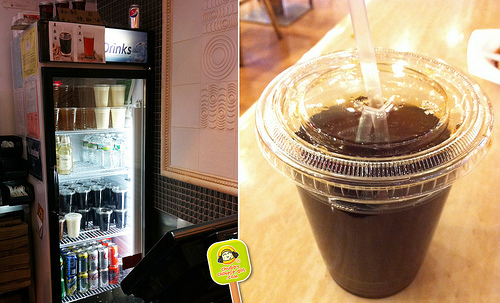 Behind the counter, above the can of sodas, you’ll find a couple different homemade chinese HERBAL TEAS (leung cha). I got the one with chrysanthemum. This is good for cooling your “chi”, perfect contrast for the hot and spicy main entree. Trust me, your body will thank me later. It has mild herbal flavors and not too sweet. 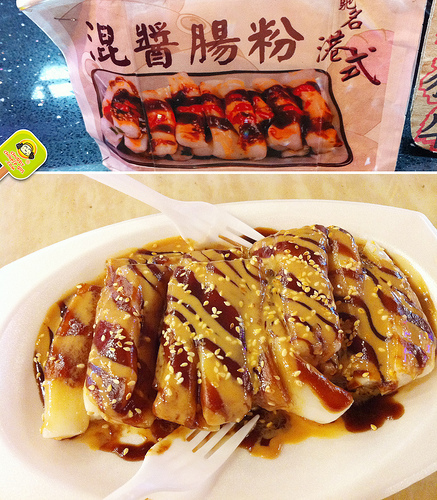 While there, also get the Mixed Sauce Cheung Fun or steamed rice noodle. Warm soft pieces of rice noodle are tender to the fork but resistant to the teeth, a light pull and stretch. Smothered with a hoisin/peanut butter concoction and topped with toasted sesame seeds. Sweet and fragrant. The concept at Spicy Wok is simple, think salad bar, you pick your meats ($8/lb) and vegetables ($7/lb) only instead of tossing your ingredients in dressing, they sautee it all in a high heat wok with Sichuan peppercorn, potent whole chillies, garlic, ginger, soy sauce, sesame oil, chili oil. They weigh your selection and ask for the level of heat, I highly recommend “LOW”, even so, I’m calling it “FIRE” (in a good way of course). FYI, shrimp and lobster are charged by market price, I was too cheap to splurge LOL. Served in a big silver bowl with complimentary white rice. 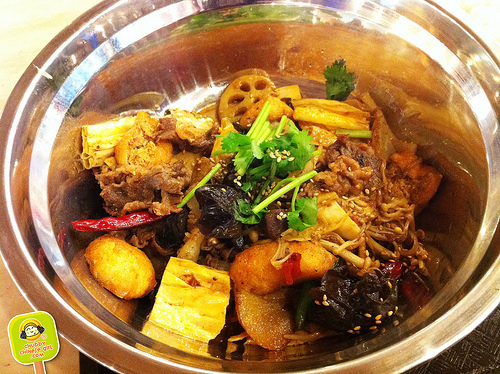 I like mine with beef, tripe, gizzard, fried tofu, tofu skin, enoki mushroom, king oyster mushroom, lotus root, dried chinese black mushroom, celery and napa cabbage. Everything absorbs the intense heat from the Sichuan chilies and oil. The Sichuan peppercorns releases a distinct aroma, faintly similar to that of anise or liquorice, but brighter. A heavy handed mix of garlic, ginger, soy sauce dance around while your lips and mouth are numb from the heat! 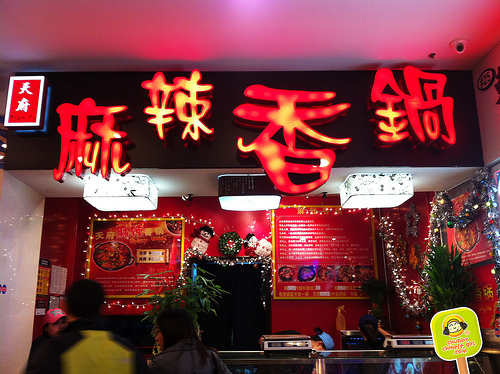 This is what Sichuan cuisine calls “ma-la”. Even at “low” heat, it felt like FIRE, in the most addicting way possible. It tingles just enough for you to want another chopstick full. The sprinkle of sesame seeds and chinese parsley add even more notes to this intensely bold dish. The herbal tea cools you off literally. 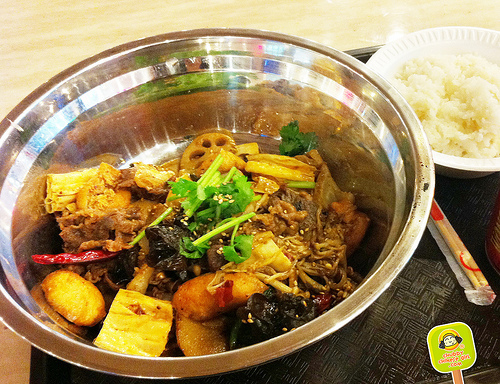 Note: There are several “spicy” places that serve in woks, some are with soup (shabu-shabu, hot pot style). I prefer mine stir fried and amongst them, this Spicy Wok (at the corner) is my favorite. SNOW ICY to be exact. 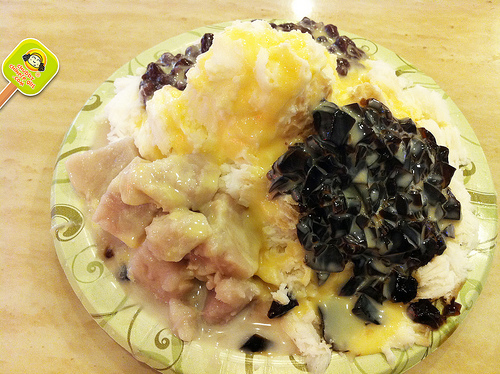 Snow like shaved ice is a Taiwanese concept (part of which inspired Wooly’s). 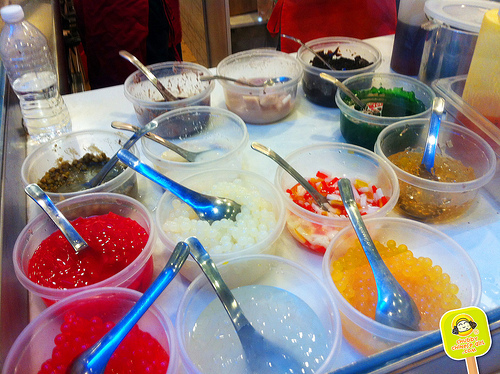 You can choose from a variety of flavors and toppings, like you would at a night market in Taiwan. From jelly to fresh mango, green tea, sweet red or green beans, taro and such. 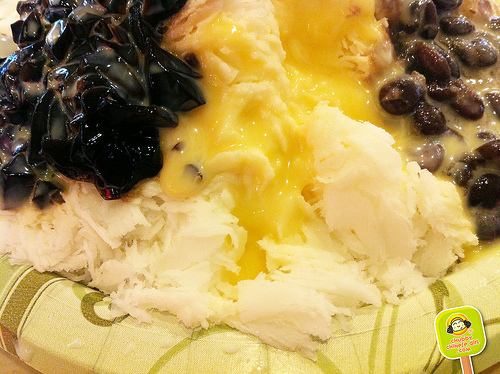 I choose the Milk Snow Icy topped with sweet red bean, taro and grass jelly, drizzled with condensed milk. I heard milk helps relieve your tongue from spicy food so this is a double whammy against that “ma-la” Spicy Wok. The ice itself has a condensed milk/coconut flavor, love, love, love. Even without toppings, its paper thin, powder like consistency dissolves the moment it hits your tongue. Not crunchy like UiUi. I didn’t even need the extra condensed milk on top, which made it sweeter. Soft taro pieces have a starchy texture, the grass jelly is silky and herbal in taste, while the red beans are sweet and tender. Fun textures and flavors, this is classic icy at its best (in NYC at least). The whole meal cost less than $15 per person (sharing between 2). There’s cheap eats everywhere you look, so trying out new things could be a fun adventure as well, though I highly recommend skipping Beautiful Memory Desserts (read below). Otherwise, just hop on the train and take a trip to China, I mean Flushing *wink*. 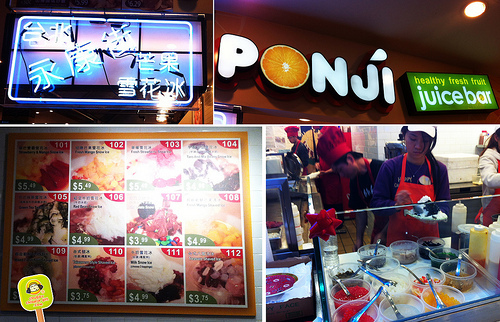 I was ecstatic to see a HK style dessert shop. Not only did the display, plate color and decor look authentic, the extensive menu had everything from durian pancake, mango pudding to read bean soup. 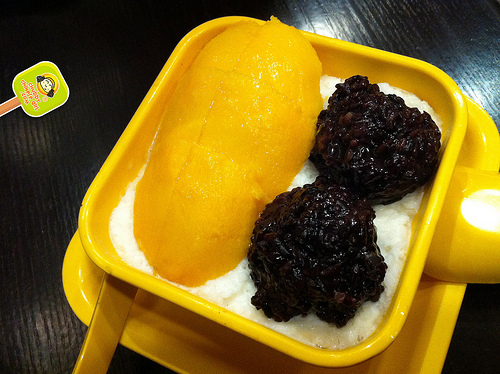 It really did bring back memories from the desserts I so loved in HK, until my order came. Maybe it was an off night, the staff mixed up several orders. They ran out of things, but only managed to inform us after we waited a while. Honestly I wished they didn’t have what I wanted, so I could have saved myself the time and money. 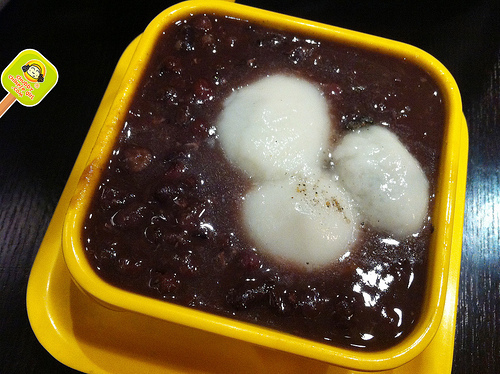 Black Sesame Filled Glutinous Rice Ball in Red Bean Soup was awful. Talk about bad presentation. I’m surprised they thought it was ok to serve it looking this way. The rice balls weren’t even cooked properly to begin with. Way overcooked, it probably stuck to the pot. The shiny, smooth glutinous rice skin/wrapping was destroyed in the most amateur way imaginable. Not only that, but these were definitely store bought from the frozen isle. I can boil water and make them better myself, really, it’s not hard (almost dummy proof). The red bean soup it drowned in, isn’t worth mentioning either. Watered down and tasteless. I really wanted to love this place, but the only memories it managed to leave were anything but beautiful, more like a dessert lover’s nightmare. That food court looks AMAZING!!!! 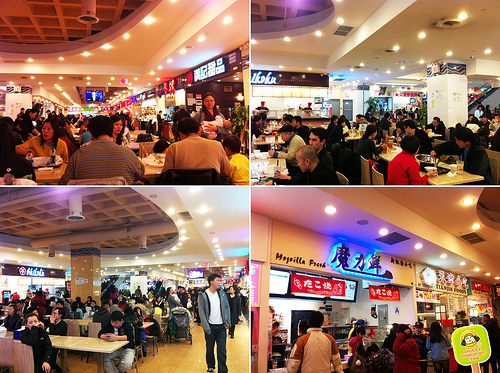 Too bad Flushing is so far from Manhattan, I never have time to go there during my short trips. Thanks for sharing. The food looks great! its actually not so bad if you take the 7 train express from grand central or times square…. about 40 min or so… and once u get off the train, its right there!